Trinity Cathedral is fortunate to have many dedicated and hardworking parishioners. Nevertheless, its threefold ministry—to the Parish, the Diocese and the City – relies on the practical and financial support of many Friends beyond the parish boundaries. 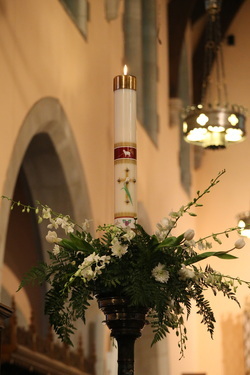 With their help, the Cathedral has been able to fulfill the demanding roles of worship, witness and service to which Christ has uniquely called it. Please help us to continue our response to that call by joining the growing company of Friends by making a donation as a Well-wisher, Supporter or Benefactor. Friends of the Cathedral receive a personal invitation to lunch with the Dean and Bishop Stokes on Cathedral Sunday (the second Sunday in June each year) when there is the opportunity to have a guided tour of our beautiful cathedral and to learn about its work. As you get to know more about what Trinity Cathedral does, we hope you will want to renew your donation on an annual basis. Even if you feel unable to make a donation at this time, we would like to keep in touch. Please send us your email below.